Found 110 matches in 110 records for Arabian Peninsula. 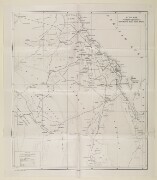 'Settlement of Turkey and Arabian Peninsula. Note by India Office on Foreign Office memorandum'.